Mr. Groom is a US-based company providing a range of products to meet the grooming and nutritional needs of both show animals and household pets. Mr. Groom boasts over 40 years of being one of the top selling all-natural shampoo and conditioner lines in the pet industry providing a wide range of products that help solve common pet coat and skin problems. Mr. Groom grooming aids began their journey in the US and international pet markets in the late 1950’s when one of Fabrege’s employees tried the famous Happy Hair human product on their show dog. Amazed with the results, they obtained permission to produce the product under the brand name Show Groom. Sales and customer responses were so good that Mr. Groom Pet Products Company was formed. Soon, the now famous Coat and Skin Conditioner and the full line of all-natural shampoo and conditioner products were added. Since 1960 Mr. Groom has been a leader in providing a range of product to meet the grooming and nutritional needs of both show animals and household pets. 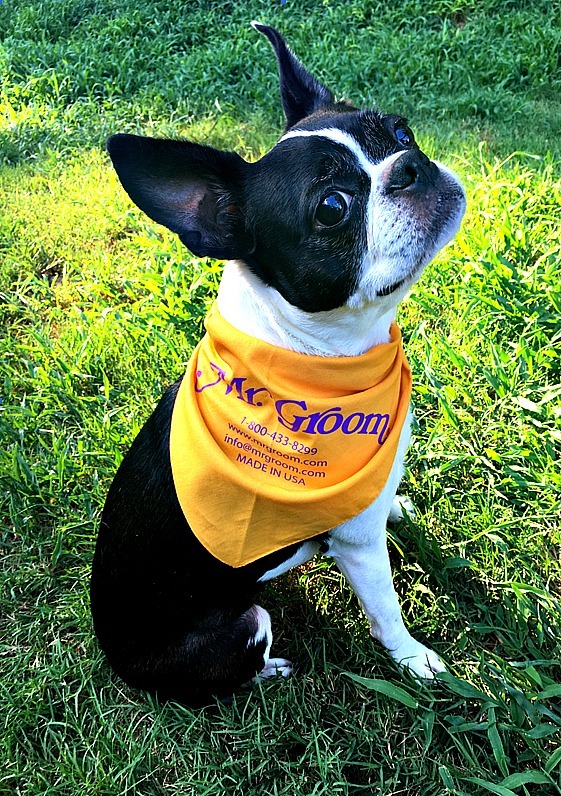 Mr. Groom boasts over 1/2 century of being one of the top selling all-natural shampoo and conditioner lines in the pet industry providing a wide range of products that help solve common pet coat and skin problems. While Mr. Groom was developed with dogs in mind, many products are equally safe and effective for cats. These products have also experienced excellent results with horses and a variety of livestock. Mr. Groom has a motto of continuous improvement and to match this the new line of products will feature a formula that is enhanced with proteins and includes even more high quality, all-natural ingredients such as aloe, oatmeal, chamomile and tea tree oil that work together to help promote the health and beauty of your pets coat. To match the notorious shine that the products give to pets’ coats, Mr. Groom products will feature new packaging that is fun and represents the style and charisma of the brand.